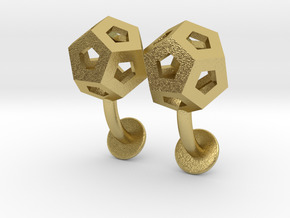 The interlocking Gyroid Lattice Earrings each contain two networks, each a mirror immage of the other. They wind through each each other, always separate, never touching. 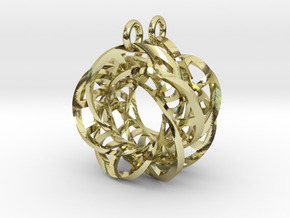 The interpenetrating labyrinths within these earrings are derived from the gyroid minimal surface. 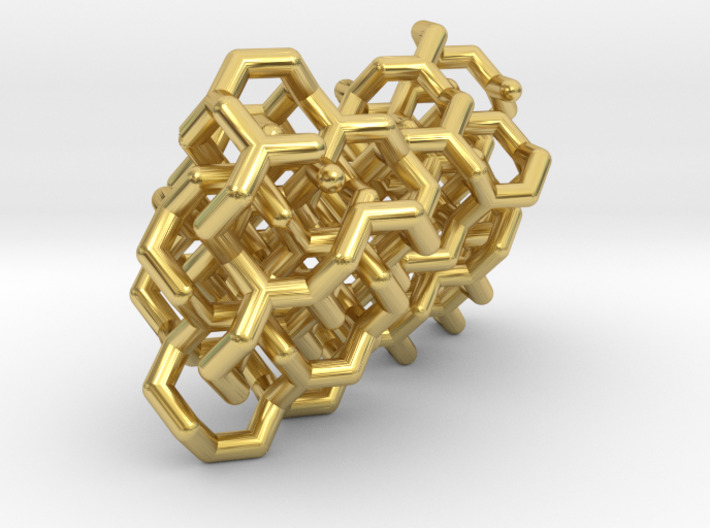 The gyroid separates space into two regions, represented by these lattices. It can keep two fluids, such as water and oil, separate, yet intertwining around one another. These networks have a variety of names. Laves graph, SrS, 10_3A to name a few. 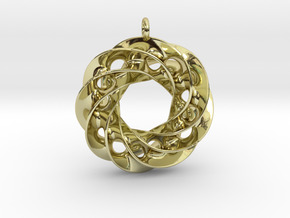 These earrings are made using Shapeway's interlocking metal process. Please bear in mind that only the metals with "interlocking" options are available for these earrings.